Looking to buy cartridges for your laser or inkjet printer online? If you Google your request you will be bombarded with tons of sites able to fill your request. The real task is not finding a place to buy the cartridges but actually finding a site that is going to provide you with an upstanding product. Before selecting a site to purchase from it is important to do some research. A great indicator as to if a company is on the up and up is the amount of time they have been in business. A company in it for a quick sale usually will not last too long in the industry because they are not concerned with providing customers with a quality product. Therefore, they will probably not receive repeat customers or great reviews. Try to find a company that has been in business for at least five years. Another thing to look out for when choosing a company to buy ink from is the types of products they carry. Dedicated sellers of ink and toner printer cartridges will usually concentrate only on those areas. They will not have lots of other products at their website, so if you see a company that sells hundreds of items, among them ink and toner cartridges like the Epson #87 T087720, it is a sign that they have not invested enough in the demanding field of printer ink cartridges. When you make a purchase, confirm that the product you are buying stacks up properly to the original equipment manufacturer (OEM) cartridge that came with your printer. This is most important because it shows how dedicated the company is to ensuring the ink you purchase will be compatible with your printer. With modern manufacturing techniques it is possible to get a cartridge that meets or exceeds the OEM specifications in all aspects. You only want to purchase from a company that cares about meeting these specifications. They should also state clearly that their cartridges are manufactured to the exact demands of the OEM products – even details about their methods of remanufacturing should be provided. If you have further doubts call the customer service number and talk to a representative to get a better idea on their knowledge. If they are legitimate, they will be able to supply the knowledge to back up their products. 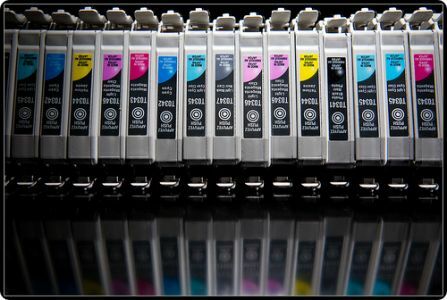 At Comp and Save we are devoted to supplying our customers with upstanding ink cartridges that exceed OEM specifications. We would be happy to answer any questions you have concerning your ink purchases. The trend of online shopping is increasing day by day. More and more people are buying online because we get better deal online. Even I buy printer cartridges online because it gives me more deal and better price than retailers. But shopping online is bit risky, we have to be careful enough to understand the spam and fraud websites for online shopping. 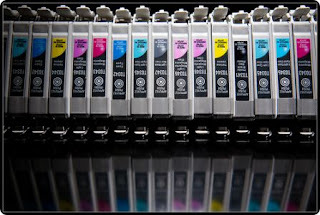 A cartridge specialist offers best quality of Hp Ink Cartridges and Canon Ink Cartridges and other brands also. I feel delighted to read such a good post what-you-need-to-consider-when-buying, I would like to thank the Author for this marvelous efforts. This post is good in regards of both knowledge as well as information.